Anti Wave has a complete range of safe and popular leisure items for your pool or facility. 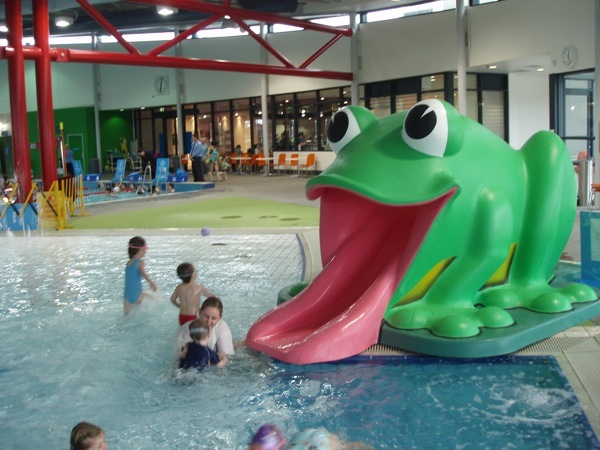 Friendly and welcoming – the best frog ever made. 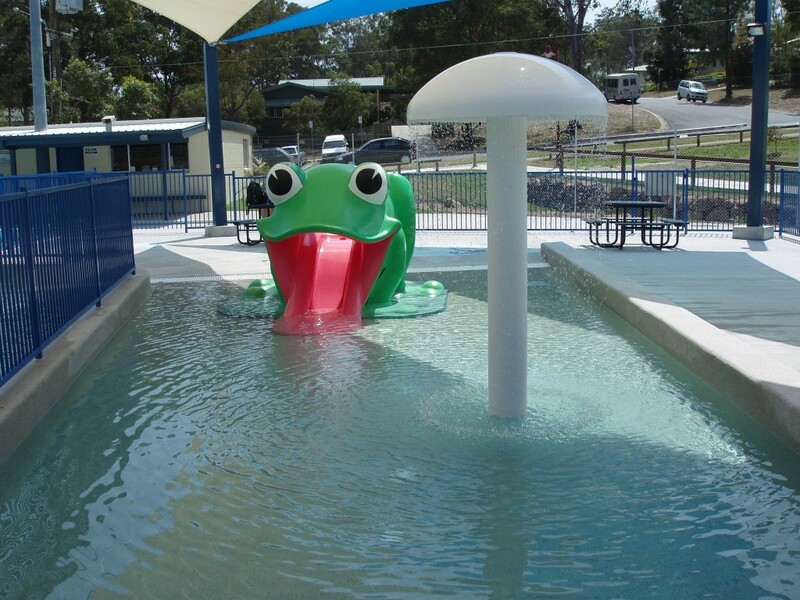 The Frog Slide is a proven and safe attraction for children and can be placed in the wading pool or on the pool deck. Tipsy-Turvy buckets fill with water and spill over each other in an active water feature full of colour and surprise. • Produced from rust-free advanced composite plastics. 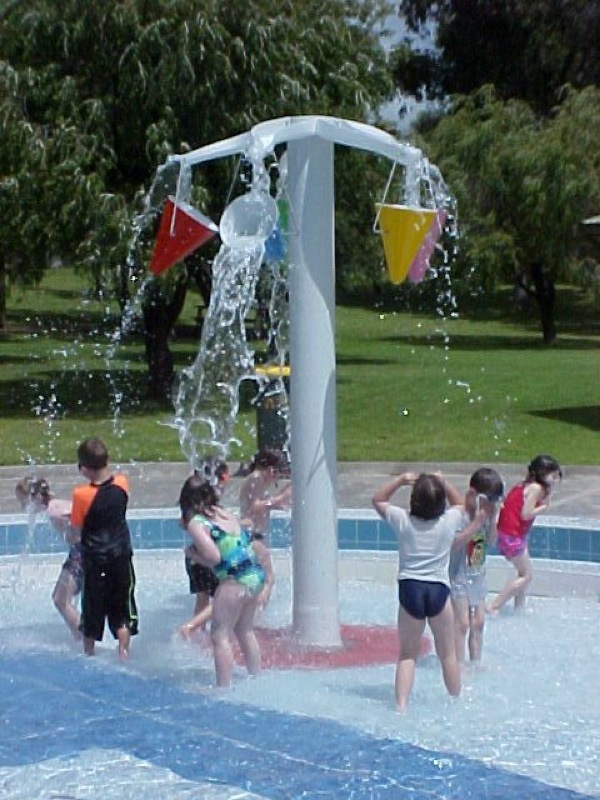 The Anti Wave RainDome is fabricated from GRP to provide an exuberant water curtain feature for recreation pools. • Water flows up the central stem and then over the surface to provide an all-round curtain of water. • Produced from strong and durable FRP. • Available in three sizes; 1200mm, 1600mm and 2000mm in diameter. 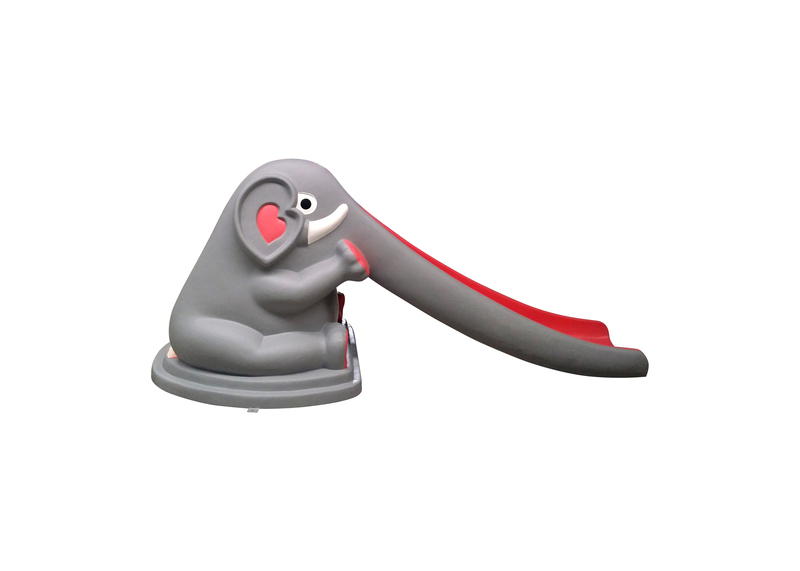 A fun and colourful Elephant Slide which is fun for kids of all ages. Constructed of UV stabilised, fibreglass reinforced plastic (GRP) for exceptional smoothness and durability. The slide can be placed in a pool’s wading area or directly on the pool deck with no anchoring required.